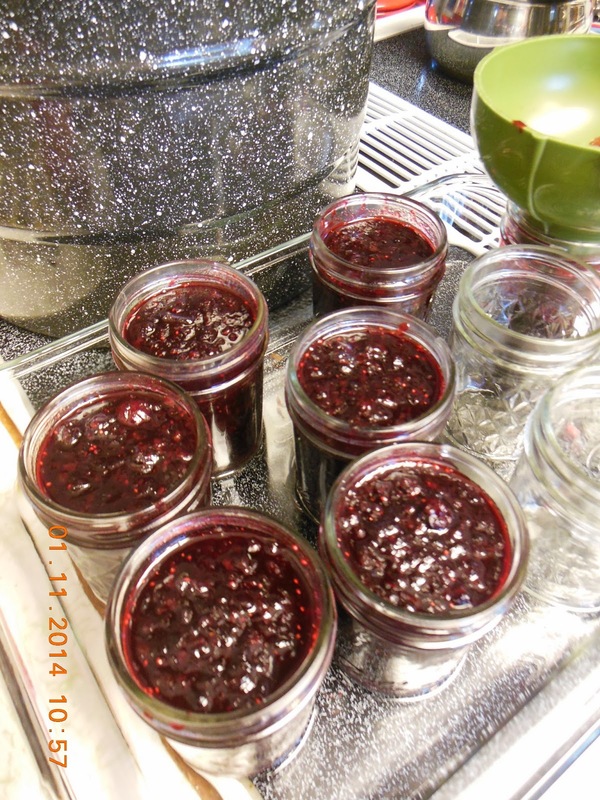 Blackberry Cranberry and Pink Grapefruit Preserves - Our Sunday Cafe, the Retirement Edition! Winter jam making has it's own rewards. The kitchen is not already hot from summer heat, and the overall sense of hurry hurry hurry, there is more to do, is absent. 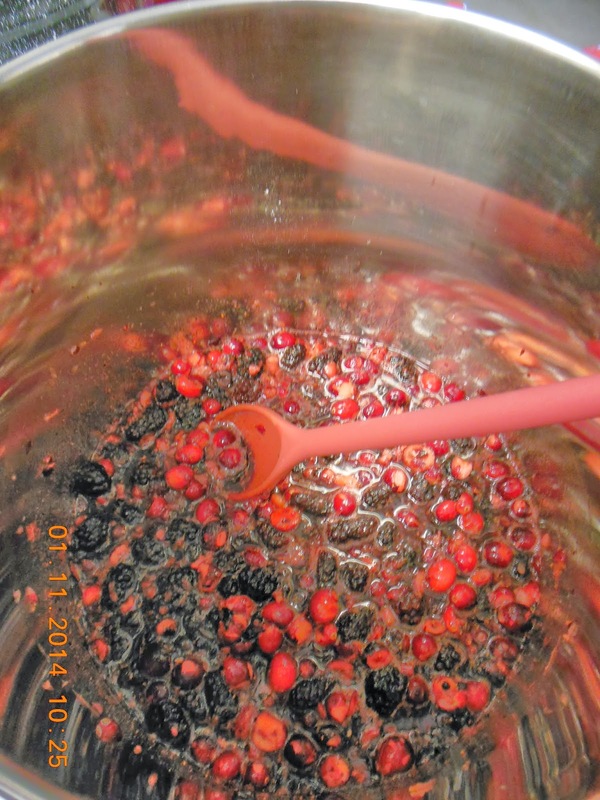 This recipe actually calls for frozen and thawed berries along with their juices; so next year, berry patch beware! 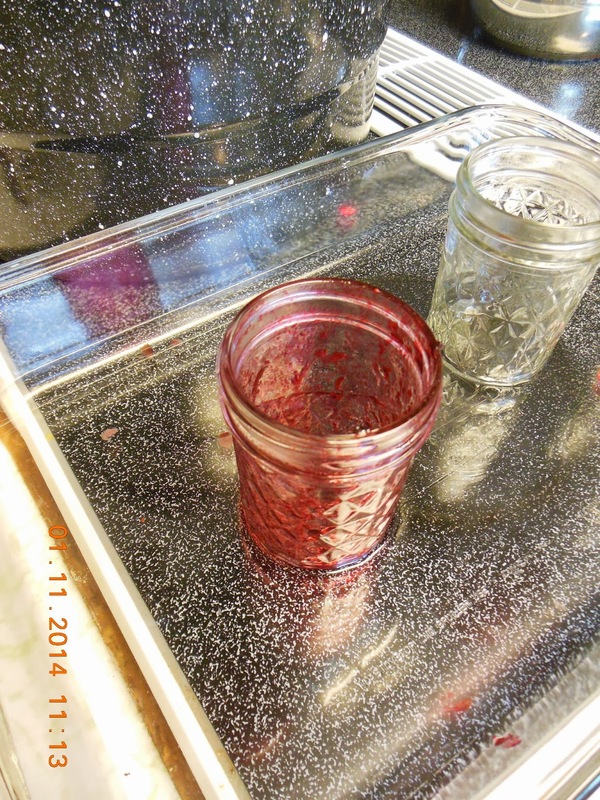 1 small glass or ceramic plate, place in freezer before you begin the jam. 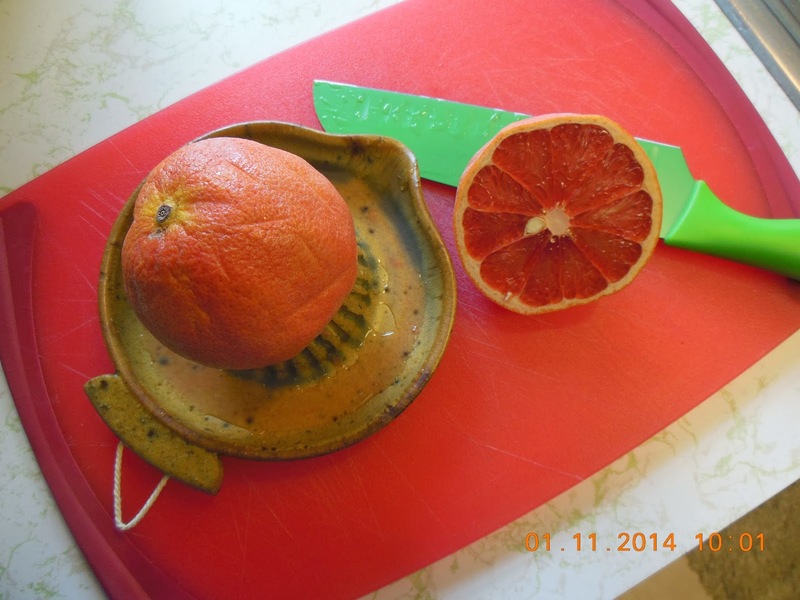 Juice the grapefruits, and scrape pulp from the rinds. 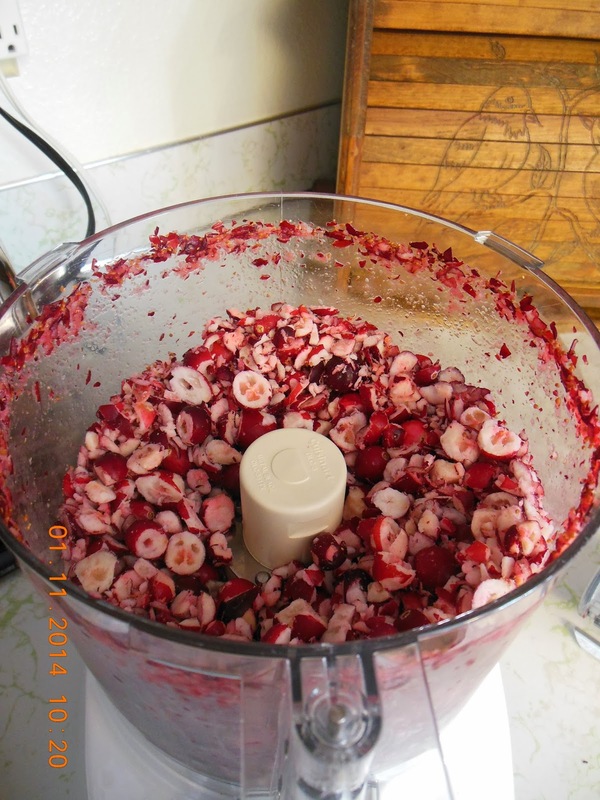 Remove all visible seeds. 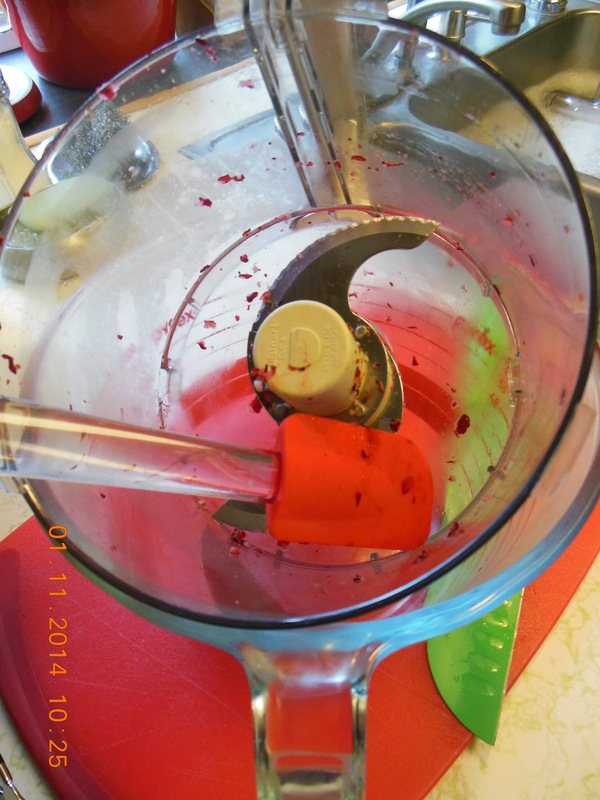 Chop the cranberries, combine all ingredients in a large stainless stockpot. Bring to a boil, reduce heat to medium and simmer stirring frequently to prevent sticking. When mixture begins to thicken, adjust heat if needed, stirring constantly until mixture is cooked and thick. 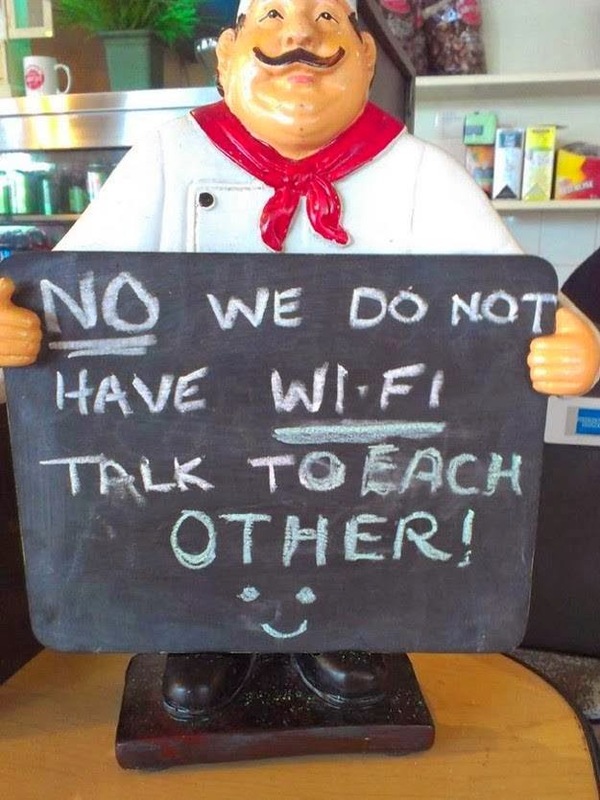 Total cooking time will be 20 - 25 minutes. 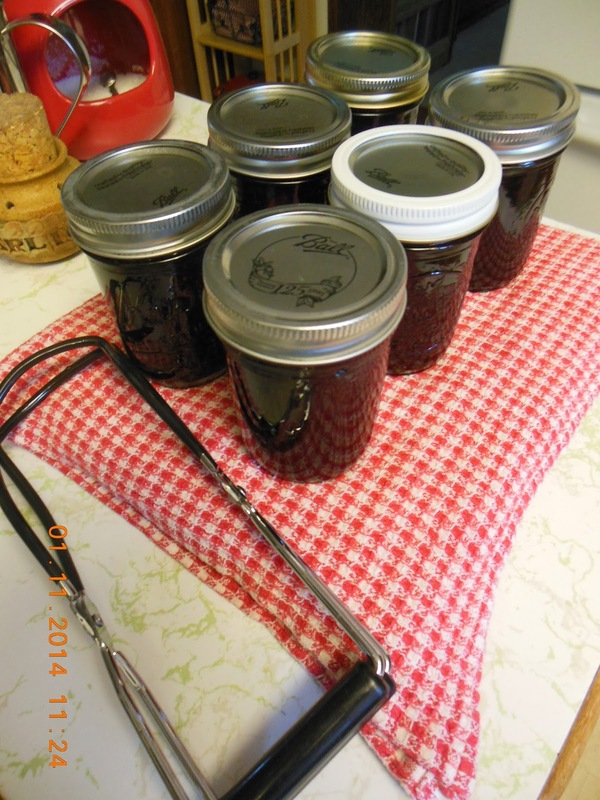 This is a natural pectin recipe and you will need to adjust cooking time accordingly. If you wish to check for "thick jam", remove plate from the freezer, add a small teaspoon of jam onto plate to cool. Check for texture. 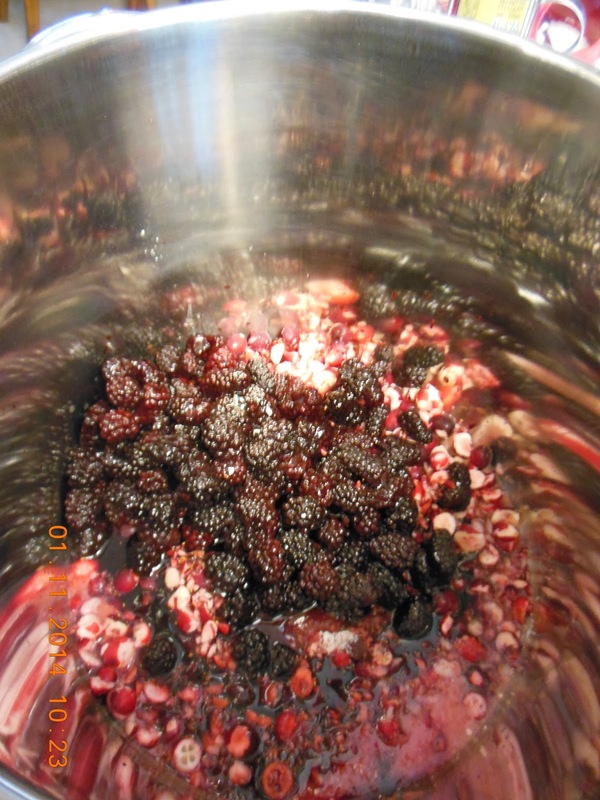 When jam is cooked, place into hot jars, cap by hand and process in a boiling water bath for 15 minutes. Remove and cool. Remove rings for storage. 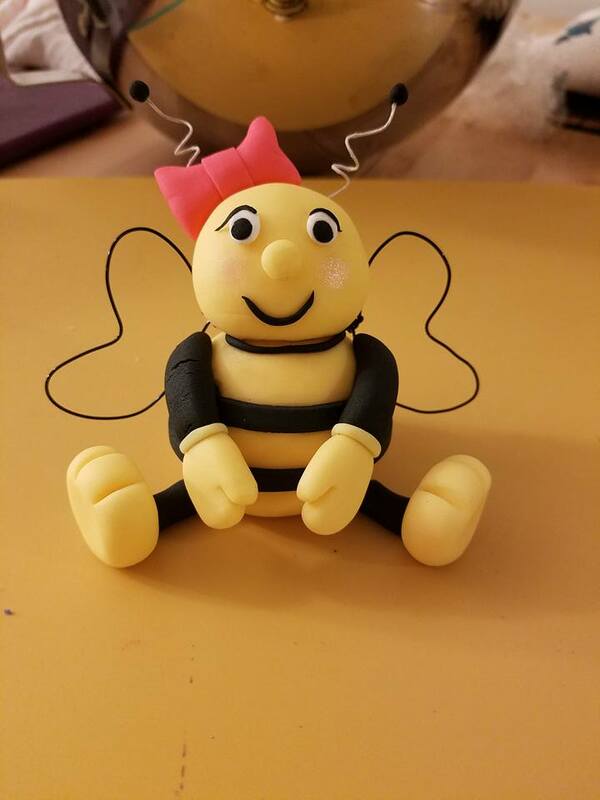 Enjoy this bright flavored jam, it is delicious! 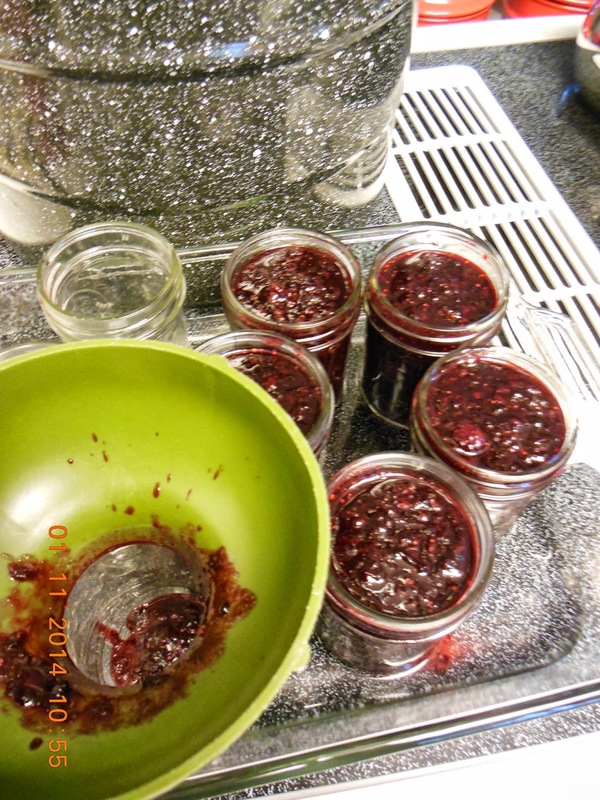 After filling the jars, I always run a wet finger around the top of the jar to check for traces of spilled jam or a nick that was not noticed earlier. This jar had a nick in the very tip and would never have sealed. 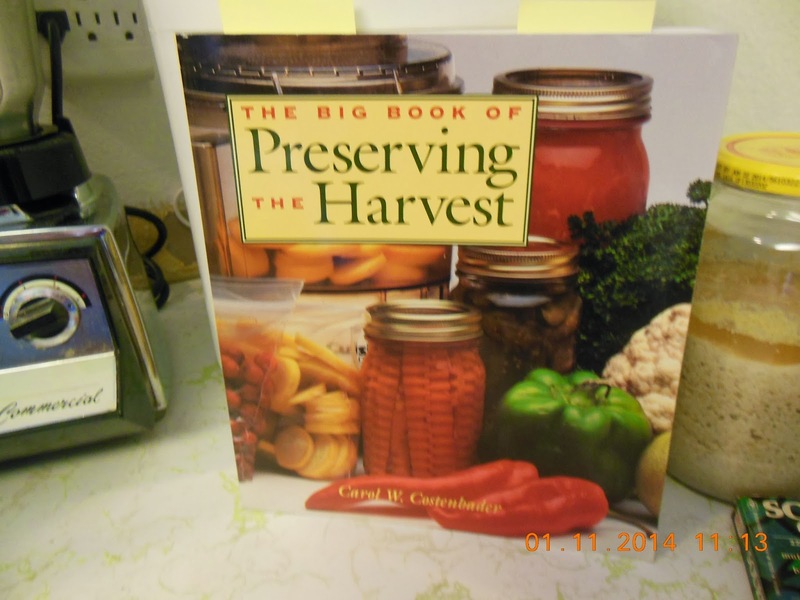 This jar will find new life and be used for something else, but not canning. Yes that is a jar of sourdough starter to the right, this jam on biscuits is on the menu! 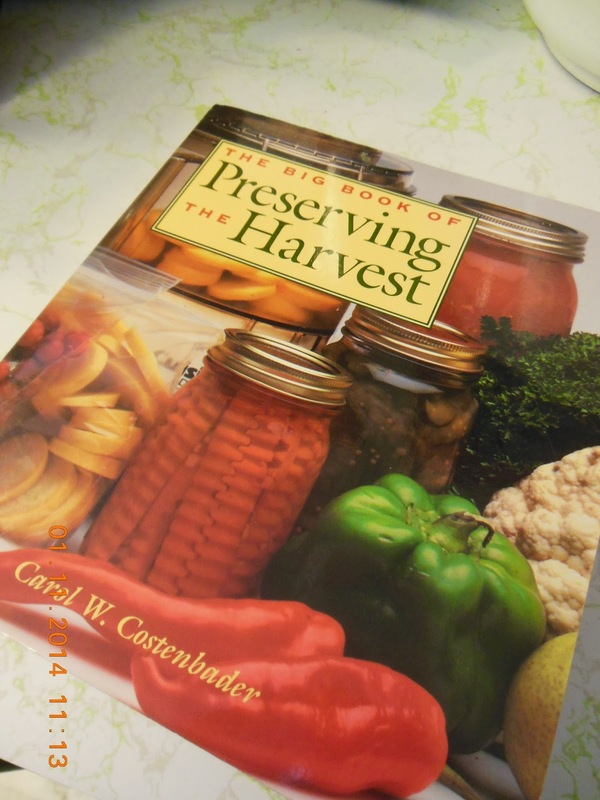 4 comments preserving, Recipe rating Oh Yes! oh my gosh, beautiful AND delicious! Great tip about the finger around the rim! What a delicious flavor combo for jam! 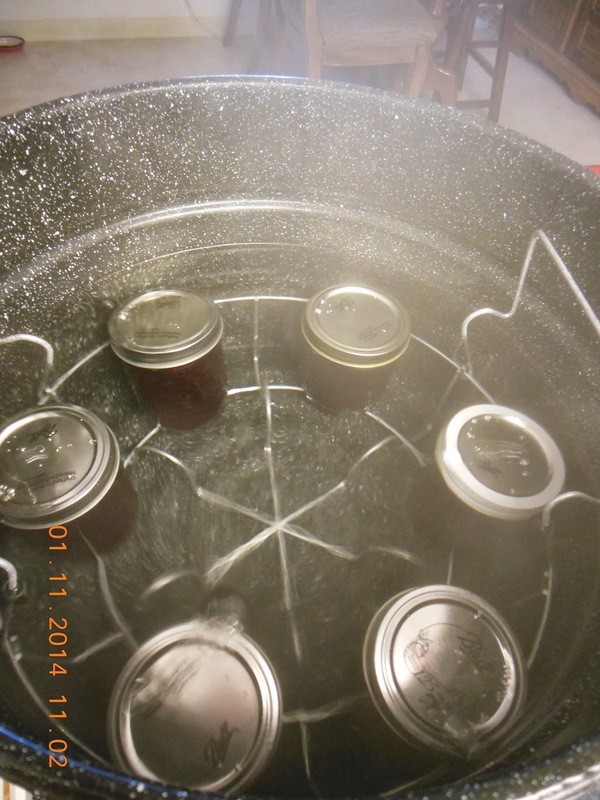 Love the idea of canning in the winter when it's nice and cool. My mouth is watering, this looks and sounds so sweet, tart, and yummy. Wow, blackberry and pink grapefruit sounds really good! I am ever so jealous of your blackberries! Beautiful preserves and I can imagine just how good they are with toasted bread and scones! Lovely!